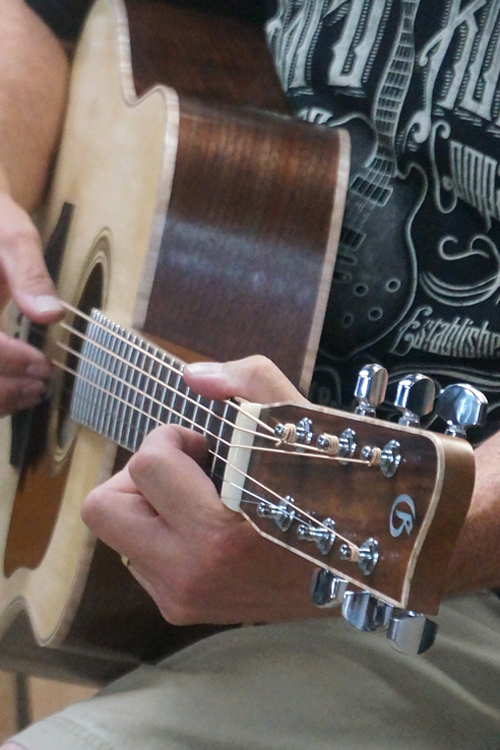 A bookmatched back set and bookmatched set of sides for building an acoustic guitar, dreadnought-sized or smaller. 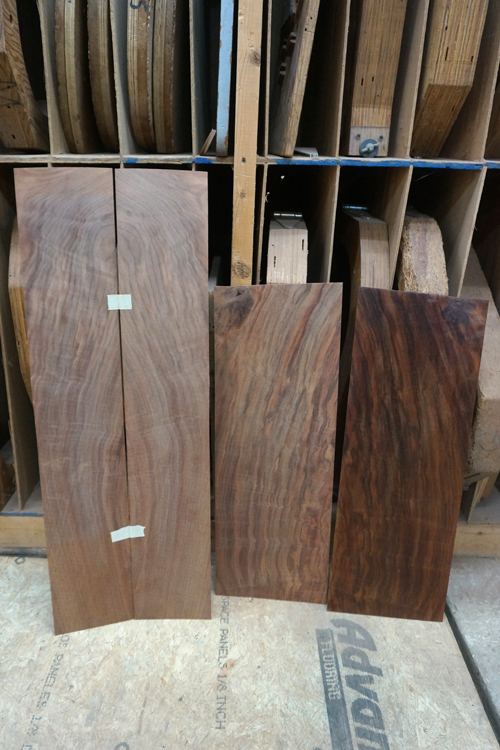 This wood was originally bought by J.W. Gallagher in the 1950s. 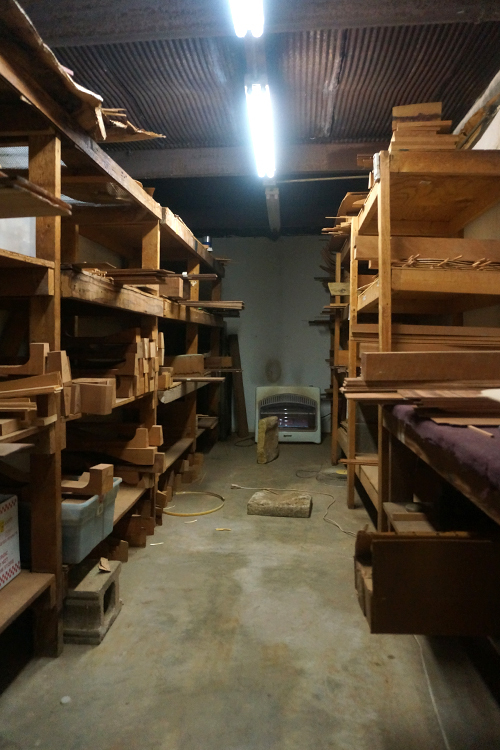 It is high-quality, figured, quartersawn wood and was stored in the shop attic and then in a climate-controlled hot room (pictured). 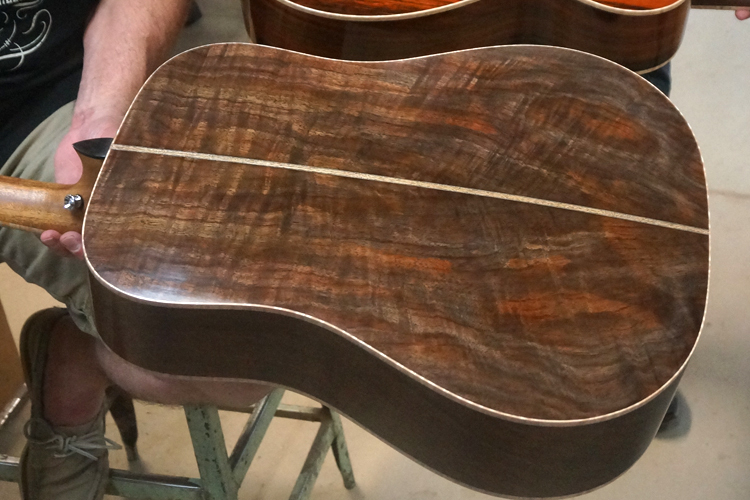 This wood comes from the same lot being used to build new Gallagher custom guitars (also pictured). 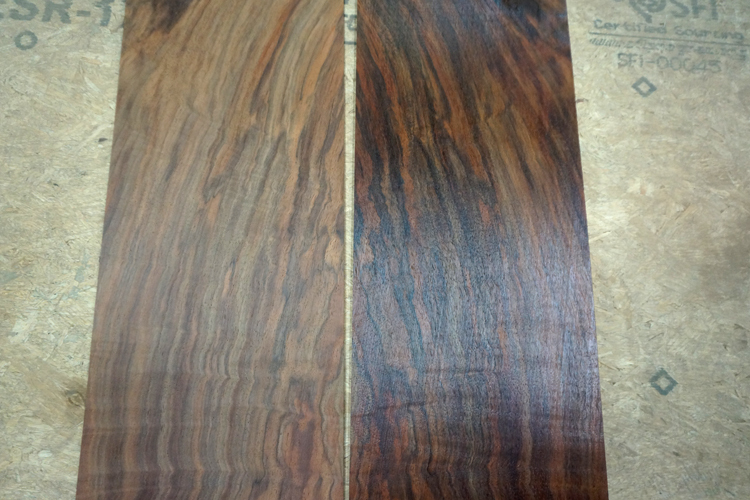 Contact us if you’d like to choose your own set or order this wood in a custom guitar.